On Friday of last week, July 20th, the USDA released its mid-year Cattle Inventory report in addition to the monthly Cattle on Feed report. Upon its release, Radio Oklahoma Ag Network Farm Director Ron Hays caught up with Oklahoma State University Extension Livestock Market Economist Dr. Derrell Peel, for his analysis of those numbers. According to Peel, the July Cattle report confirms larger cattle inventories in 2018. The total U.S. cattle herd was reported at 103.2 million head, up 1.0 percent from last year and the largest July 1 inventory since 2008. The July 1 beef cow inventory is 32.5 million head, up 0.9 percent compared to one year ago. Beef replacement heifers were down 2.1 percent year over year at 4.6 million head. Dairy cow and dairy replacement heifer inventories were unchanged year over year. The 2018 calf crop was estimated at 36.5 million head, up 1.9 percent over the 2017 calf crop. The combined inventory of steers, other heifers and calves, adjusted for cattle on feed, leads to an estimated July 1 feeder supply of 37.1 million, up 0.5 percent year over year. Cattle supplies will continue to grow, but slower, through 2019 at least. 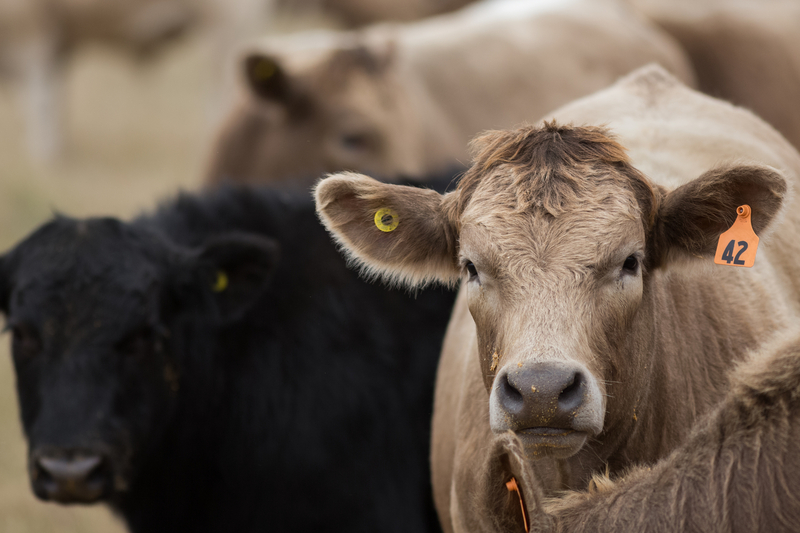 The July 1 quarterly inventory of heifers in feedlots was up 7.7 percent from last year, a large enough value to suggest further slowing in heifer retention but down compared to the double-digit year over year increases of the previous four quarters. Steers in feedlots on July 1 were up 2.4 percent year over year. The modest increase in beef cows, combined with a smaller inventory of beef replacement heifers, suggests that herd expansion is slowing even more in 2018 after slowing in 2017. However, the ratio of July 1 to January 1 beef cow inventory is 102.4, a level that historically implies positive herd expansion in the current year. The ratio is down from 2015 and 2017 levels (No 2016 July Cattle report was issued), again indicating slow expansion for the current year and perhaps a peak in the cow herd inventory in 2019. Listen to Peel and Hays discuss the USDA’s latest Cattle Inventory report for 2018, on today’s Beef Buzz. Listen to Peel and Hays discuss the USDA's latest Cattle Inventory report for 2018, on today's show.